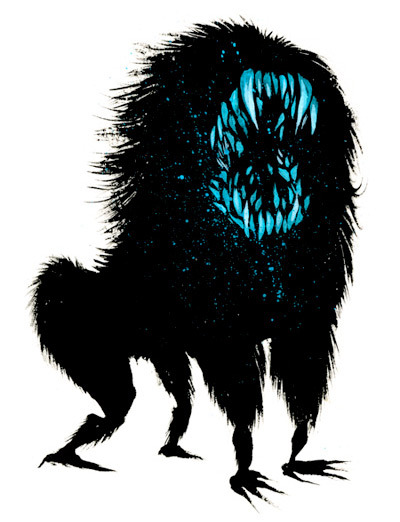 If you haven't heard, sci-fi indie Attack the Block is an awesome film. I've finally seen it and it's definitely one of the highlights of this year. Poster artist Alex Pardee agrees, and was so "blown away" that he created some art in tribute to it. "I saw Joe Cornish's alien-invasion movie Attack The Block the other day and I was so refreshingly blown away by it I couldn't stop thinking about it, so I drew this for funsies," he said on Tumblr (via SlashFilm). His two bits of art, one a poster-like design, the other a sketch of the monsters in it, are awesome - and should be more than enough to convince you to see this if you haven't yet. If you click on the bottom one, you can order a copy printed 5"x7" for only $10! Sweet deal. I love those "Gorilla-Wolf-Lookin' Motherfuckers"! Unfortunately I don't think the top one is for sale, too bad because it's fantastic. Pardee finishes, "In case you can't tell, I liked this movie. A lot. The end." 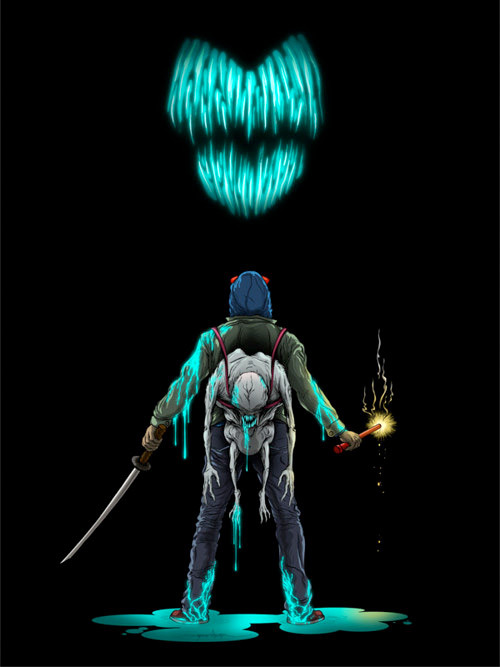 There was another awesome bit of fan art posted on deviantArt for Attack the Block, but nothing else I've seen has been this good. I'd love to see more fan art pop up when/if more people have the chance to see this. It's looking to expand to more cities, so hit up the Facebook to find out. And follow Pardee's Tumblr for updates from him. I like the top poster, the bottom half would make a great desktop wallpaper. Your right Tyler! Attack the Block was the best sci-fi movie out this summer!